This limited edition Game of Thrones bowl is perfect for cereal, snacks and soup, or simply for decorating the home Game of Thrones style. 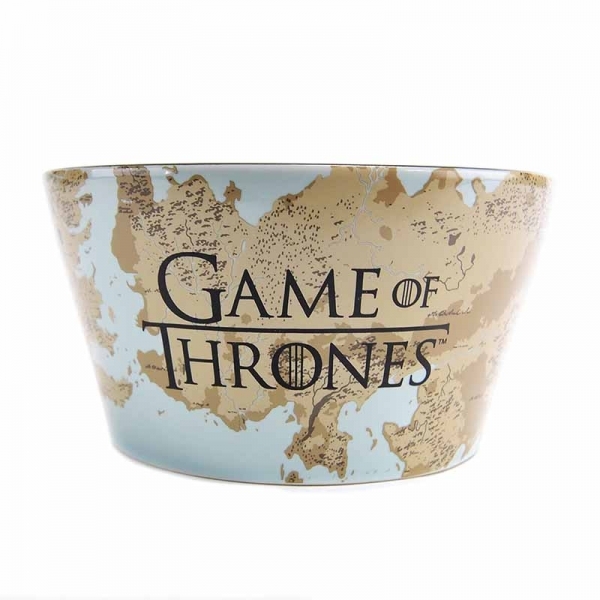 This straight sided bowl features the maps of Westeros and Essos – beige and brown earthy tones on a pale blue background. The front of the bowl features the Targaryen house sigil – a three headed dragon – in golden embossed detailing on a black plaque, while the back of the bowl features the Game of Thrones logo. The inside of the bowl has a glossy black glaze. 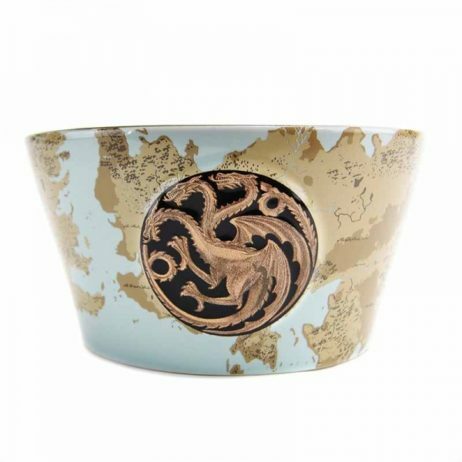 This beautiful and collectable piece makes for a wonderful gift for any Game of Thrones fan.